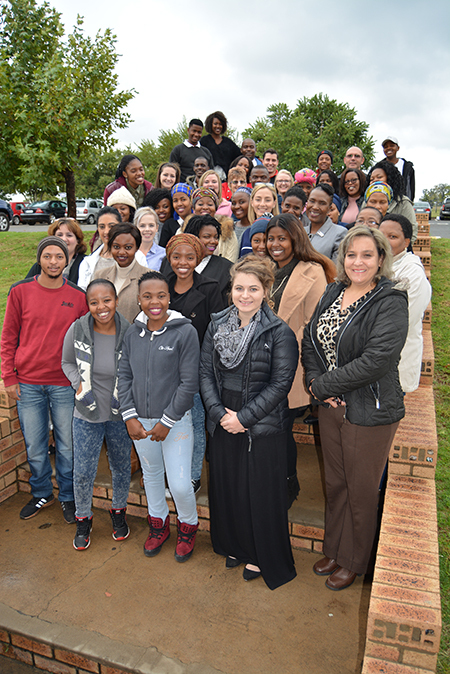 The academic staff at the Social Work Department on the North-West University’s (NWU’s) campus in Vanderbijlpark recently hosted a training day for a group of practising social workers who will be supervising final-year students during their internships later this year. “These supervisors will be instrumental in facilitating the students’ entrance into the profession,” says Dr Elmien Truter, lecturer and also a practising social worker. According to her the students are placed at the different organisations where they will complete a compulsory 80 days of on-the-job training. The first five days will take place in April and is reserved for orientation and training. Each student will then have to observe, plan and collect information about the day-to-day operations of his or her supervisor. The remaining 75 days (to be worked consecutively), are scheduled for July to October and will be spent shadowing the supervisor, who is required by law to be a qualified social worker. During this period, the supervisor will support and guide the student to do everything that is required of a qualified social worker including case and community work, research and administration. These social work interns are excited about the final part of their journey to becoming qualified and professional social workers. The students will be assessed by firstly completing an oral formative and later an oral summative assessment. Dr Truter asked the supervisors to support the students during their time of service as it comes with a great deal of uncertainty and sometimes even fear. The day’s training included special lectures from international speakers such as Prof Franziska Meinck from the Centre for Evidence Based Interventions at the University of Oxford and Prof Manjit Singh from the Punjabi University in India. The students were visibly excited about the last bit of their journey as trainee social workers which will see them enter the workplace as qualified and professional social workers.